NO OUTSIDE FOOD OR BEVERAGES WILL BE PERMITTED AT VBGB. VBGB will have a full cash bar available throughout the event for any of your beverage needs. The kitchen at VBGB will also be open for anyone who would like to purchase food during the tournament. FOOD AND DRINKS ARE NOT PERMITTED ON THE VOLLEYBALL COURTS. LEAVE YOUR TENTS, COOLERS AND OTHER TAILGATING ITEMS BEHIND! VBGB has plenty of area inside to cool off and a large covered patio area with picnic tables. The first 7 teams to register and pledge $3,000+ (per team) will get a reserved picnic table where teams can set-up their “home base” for players during the tournament. LUNCH WILL BE PROVIDED FOR VOLUNTEERS AND PLAYERS. A wristband will be included in your registration packet that will provide access to the food area for lunch. Your wristband must be worn at all times during the event. During the event, VBGB will not be open to the public. All players must check-in at the registration table located at the entrance of VBGB. We will verify that we have received their waiver and distribute their gift tote with the event t-shirt, wristband for lunch at VBGB and other items. 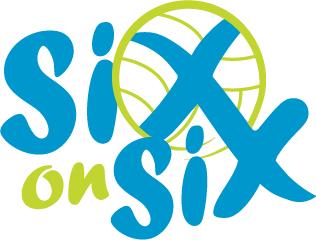 The Six on Six Volleyball Classic After-Party will once again be held at 8.2.0 Charlotte! Please plan to stay and celebrate another successful tournament!